I am almost done with the factual text for "Through Desert Eyes." I am going to try to finish it up over next week's break. I have a renewed fire for my young adult novel. I have re-written chapters one and two, with a lot of confidence. I am thinking of changing the title to "Peridot Cage," since the color of a Peridot stone matches my protagonists' eyes. I am thinking of submitting the first three chapters again to agents, maybe by the end of December. I really want to polish them first and the critique groups I am in give invaluable comments and suggestions. I am considering writing a middle grade or young reader book on a series of horse stories, based off my own history. I have picked up some graphic design accounts and will be working on those projects. It's great, but will slow my writing process down a bit. My guess is that my funny book about missing socks won't get picked up, based on the rejections I've received, but that is okay. It was a great exercise, so I don't feel bad about it. The event at the Roseville Borders was a lot of fun. The staff there was so nice and the people I met were interesting. I love doing these events and meeting people. One woman stopped me, after buying my book, and told me how moved she was by my words. She told me she didn't know why she felt like crying, but was grateful for the feeling and the connection. She then asked for a hug, as her little boy watched. It was such a sweet moment. On Sunday, I spent the afternoon at the Discovery Museum at Sacramento. This is my second event with them, and I hope to do many more. I brought paint and cards for kids to do dot paintings. Some kids got started and didn't want to leave after twenty minutes. Their parents shrugged, surprised at their enthusiasm. 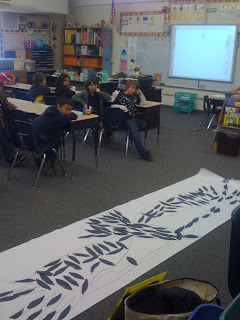 While the kids were painting, I talked about the endangered animals from the book. It was so fun! Next time I will bring some music though, it makes such a difference in the creative process. I went to the Folsom Arts Association tonight. I haven't been able to attend for quite a while and I was glad to go tonight. There were two speakers this evening, both filled with passion about their topic. Passion is a rare emotion, or at least it's an emotion I infrequently see in people. When I do, I smile and feel such excitement that there are people out there in love with something. The first speaker was a teacher. She established a Montessori School in Malawi, Africa. Every ounce of her being was filled with a passion to help the people of Malawi through education. Learning is a powerful gift to give. I felt lucky to hear her speak. I gave her three of my books hoping they would add to her school. The other speaker was Valrie Jensen. She spoke about composition of art and how it relates to a fundamental concept - the golden rectangle. She demonstrated how natural lines are in nature and how comfortable humans are in relating to visual spaces that have relationships. It really made me think about the fact that I often don't think about where I place things on a canvas. I think I naturally put things in places. Just think about how powerful I could be visually if I really thought about composition. I am spending some time right now editing my YA novel. I'll return this weekend to "Through Desert Eyes." I haven't heard back from anyone regarding "Where Missing Socks Go." Luckily, I am so busy with multiple projects, the waiting game isn't nearly as painful. I get a google alert in my email daily, most of the time it is about a Rachel Dillon basketball player or girl graduating from high school. Today, it was finally about me:) Wow, that was a nice surprise. So, thank you "Herald Courier," for this article! It takes a lot of time and energy to submit to agents, as well as publishers. I am going to exhaust my agent list before I start submitting to publishers. Last night I submitted to Larsen-Pomada Literary Agency. I have 2-4 more that seem to fit my genre that I will submit to in the next couple of days. Each agent requests information differently. Some only want a query. Others may want ten pages, plus a synopsis. Their response times also differ. I submit to multiple since I know the chance of rejection is high and everything takes a lot of time. I guess I am trying to increase my chances for my book to get picked up. Once I have submitted to the agents and I am waiting for responses, I will start working on my next endangered species book again. I have also started to brainstorm a humorous book for 3-5 year olds. Of course, the YA and the humorous board book will have to have different publishers. It all keeps me on my toes. It was fun to bring in new measurements, especially since there were a few kids that had heard my presentation before. The weekend signing at the Discovery Museum went pretty well. It was a beautiful weekend and Father's day, so the turn out was a tad disappointing. Those that did come were so nice and the volunteers and staff at the museum were wonderful! The museum pulled out some confiscated skins from illegal trading from their collection and put them on display. My heart caught in my throat when I walked into the room. It was very powerful. It really helped bring home the message of my book. The skins helped me start conversations with people and share facts of those species that were in my book. I handed out bookmarks and brought in some of the original artwork for the visitors to see. I was also able to do a few readings to kids. I asked the coordinator if I could come back once a quarter to help them sell my books, it was such a great experience. This week has been all about advancing my last painting in my five painting commission of diseases. You can barely see the outlines of the worm-like, circular and pill shaped viruses. The painting is 4 feet by 2 feet and very intimidating. I want to try to complete it in 2 weeks. This Friday is a reading event for the Folsom Vacation Zone camps. There will be around 80 kids. I am planning to do more with groups, showing how large some of the creatures in my books. I'll ask the counselors to take pictures and then upload them. I'll have to think of a few other interesting ones, to shock the kids with. I love the oooo's and ahhhh's I get as a result of these demonstrations. If I can figure out how to do an activity showing what happens when the top of the food chain disappears, that would be really cool. I'll have to really think about it. Maybe I could assign kids to be the deer healthy, sick, old, young. Then show some kids as the food. Choose other kids to be other animals that use the plants. And add a timeline. I can add signs to stick on the deer to show they are sick. I can become the story teller. I'd have to have a pretty big group to pull it off. It sounds like it would be fun though! On Saturday and Sunday are the Discovery Museum events. The condor is filling in nicely as school kids participate in adding their feathers. I read to three kindergarten classes in Elk Grove, California last week. Children are such amazing sponges. They are so thirsty to learn. I have a couple of events coming up in June. 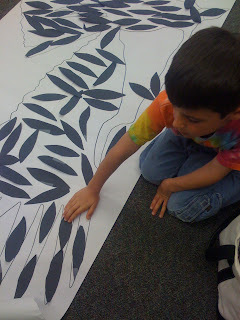 My big one is at the Discovery Museum of Sacramento, June 20-21st from Noon until 4 p.m. I'll be doing a book signing each day; possibly a reading and some activities. We shall see. My publisher just had a great time at the NYCity Book Expo. It will be great if a ton of people order the book for fall curriculums. Submissions for awards will come up this fall through December, so we'll see about that as well. What ever we can do to get my book in front of as many people as possible, will be great. I still feel strange just talking about my book to parents out of the blue. But, once I get their kids interested and asking questions, it is easy to wonder - "how can you not get this book for your children?" I dropped my book of at the Santa Barbara Zoo this weekend. They have a lot of empty exhibits, and then they have this spectacular new California Condor exhibit. I got some incredible pictures of the condors. They are still young with their grey heads. I also walked around the zoo spotting all the species they had there that were in my book - Chinese Alligator, Channel Island Fox, Snow Leopard, Golden Lion Tamarin, Snow Leopard. Some of those are very unique species to zoos, it was nice to see them in well thought out habitats. The jury is still out on how I feel about zoos in general...I feel sad for the ones stuck in them, but again I think for education and survival, zoos are our only chance. The Web is a powerful tool. I have a few photos of some of the school visits I have made this past month. The condor feathers are filling in nicely with hundreds of feathers placed down by children in California and Arizona. 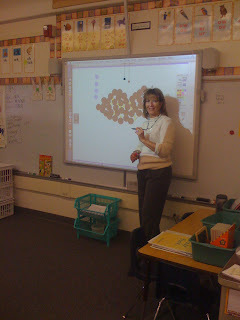 I love the photo of the teacher doing some dots with her computer on the screen. Here is some information about how I make my school book reading visits interactive and engaging for kids. I really enjoy the interaction I have with kids during a reading event. I didn’t realize that it would be such a wonderful part of being published. I have now had the experience of reading my book to Pre-K through sixth graders. Each age group brings their unique perspectives and interests. 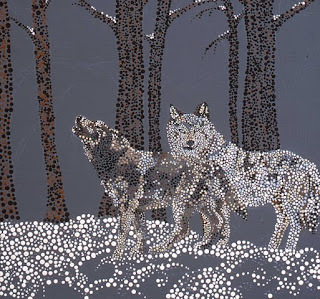 Usually I start out a reading by talking about key concepts of my book: what does it mean to be endangered; what was my process in creating my artwork; and what is magical about poetry; for older kids I talk about the process of getting published. Then I read the poetry of the book. It amazes me how quiet and focused the children become when I read. It is like the rhythm of the poetry is soothing and comforting to listen to. After I read the poems, I break down some of them down with the factual information in the back of the book. I point out unique characteristics and bring up any other specific information like: whether the species is specialized; what does it mean to be a mammal; how generations pass down information to their young. 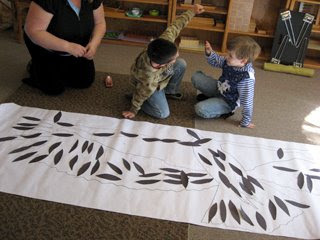 Kids are amazed by size, so I get out the tape measure to show kids just how big the Mekong Giant Catfish can grow; how wide the wingspan of a Comoro Black Flying Fox is; and how small a Channel Island Fox can be. For the Mekong Giant Catfish, I ask for ten kids to come up and stand side by side to show how big the fish is. Lastly, if we have time, I roll out a full-size drawing of a California Condor. I pass out a paper feather to each child and have them glue the feather on the bird. I explain that one feather might not seem like a lot, but combined they make a difference. I don't think I would have ever imagined that I would sell out all of the books I had brought with me to Arizona. But I did! It was around 67 books. I am so happy and so tired, whew, travelling can be draining. My kids were amazing on the trip. They have heard my book so many times and in so many classes, yet they are still excited to help and are memorizing the book. They have their questions that I direct to them, to get them involved in the process. Today and tomorrow are the public libraries in Folsom, CA. I was able to read at the public library in Flagstaff, AZ and had a lot of fun with it. Photos and video to come. I know I keep saying it, but my lids are falling down and a nap for 30 minutes would sure feel good about now. I had an amazing book signing and reading yesterday at a bookstore in Flagstaff, AZ. I sold 26 copies and signed several more that had already been purchased. So many of our friends and even some family stopped by and shared their warm wishes and support. I was touched by all those that made the time to see me at this event. I am overwhelmed by the positive responses to the book. The blog tour is going well, although I was a bit late getting content to a couple of blogs, due to our lost luggage problem, I am all caught up. Juggling and still fitting in sleep has been challenging. I haven't really been in a situation where it is has been about me. My husband drove 12 hours to make sure I got to my signing on time. My friend Tracie has been all support, letting us stay in their home and having me ship things to her for the signing. I am grateful to those I love! I do have photos to upload at the latest readings and school event. I hope to get those up tonight! Okay, so I am a child of the "I want it now!" generation. This attitude has only shown me how patience truly is a virtue. It is quite beneficial to be patient. Expectations can be set low, so that success is a wonderful surprise! Yet, setting a goal you reach for, is a bit tricky when you set your expectations low. Where is the happy balance? These past four weeks have been a learning curve for me. Now I have my book - what do I do? You mean I haven't sold all 3,000 books already? What is that all about? Ha ha. Again, Yoda says - patience. 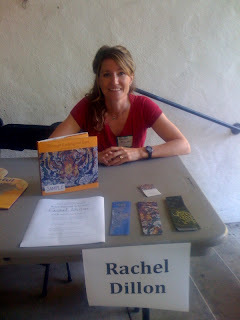 The learning curve to getting published was huge for me! Getting my book sold, is my next curve. The cool thing about this part of process is that I have two mentors. Two amazing woman that have been in my shoes before, and graciously want to share their experiences with me. Linda Boyden and Hope Marsten are both wonderful, inspiring writers. I have been so grateful for their help and advice. Getting book signings is a lot harder then I thought it would be. I have one on the calendar and one possibly in the works. The Folsom Zoo picked up the book, which I am so happy about. I would LOVE to do a book signing event there, but no one will call me back. Wait, maybe I am calling the wrong person? hmmmm. I'll look into that one. The most amazing part of having my book out is reading to kids. I went to four classrooms this week. I read to kids from 6-10 years old. They give me such hope. I read about all the horrible things happening to these animals and the planet, and I look into the faces of these glorious children and feel hope. Children have this unique way of believing they can fix things. Some children stood up straighter when I told them that they could make a difference in this world. I am also getting ideas, by reading to kids, what they are inspired by; what makes them say wow; what makes them ask questions; and what makes them stop and think. This insight will simply make my next book that much better. I had a nice chat with my dad today about writing some updates as I learn about species in my book. What a great idea dad, thanks! So, an update....the Channel Island Fox - I learned that there is a lot to being done to try to help remaining population of fox. A brilliant plan has come into play. To summarize, it seems that they [rangers and such] are capturing Golden Eagles from the Channel Islands and relocating them off the island. Then, they have started to bring back the Bald Eagles as the leading bird of pray. If you don't have my book, the Channel Islands used to have a population of Bald Eagles that prefer fish over anything. When the Bald Eagles disappeared from the islands, which is another story, the Golden Eagles moved in, and prefered the fox as food. Most of the species for my next book have been chosen. I hope to have text for it done in the next six months. We will see where we go from there. Between Finney and myself, we are going to make 3,000 books sell in six months, despite the economy! I just had someone write their first review on amazon.com. It was so touching and I felt like shouting "yes!" they understand my book, my hope, my motivation to write and paint. Next week I am going to read my book to my son's pre-school class. I need to practice, so that when I go in front of a group I don't know, I am prepared for questions and answers. Then, in two weeks I will go around my daughter's school and do the same process. I am trying to establish some signing events around town, but haven't been successful yet. I will keep trying though. I had patience (at least tried) during the past six years creating this book; now I need to have patience as it will take time to get events and signings. This past week has been pretty exciting! Well, the book arrived last night. I was filled with excitement, pride, and joy as I opened my book to read it to my kids. My daughter was filled with questions about the animals. It was like a light bulb went off as she realized that the book was really here. This morning my daughter clutched the book in her arms as she delivered it to her first grade teacher as a gift. To see how proud my daughter was of me, was humbling. This experience, over the past six years, has been emotional for me. To almost have it published, then not; then rejections as I looked for another publisher; then elation as Finney Company picked it up. My friends in Flagstaff, and my family, went through it all with me. Now, I am here in California, and the people I mention the book to don't quite understand what a journey this has been for me. Now that it is here, my tenacity and overly outgoing personality will pay off. I am obsessed with getting the word out about my book. Although, I worry that I am boasting, my passion to help these animals hopefully will overshadow that worry. My goal is to have 3,000 books sold in 6 months. Goals are a challenge to reach for. I am grateful to all those that pre-ordered the book, or plan to purchase it when it is out. Their support and enthusiam is beautiful. So, along with publisizing this book, I have started another. It will be called "Through Desert Eyes." I have started gathering a list of 22 species whose habitat is the desert. From the cheetah to the Desert Pupfish. It has created a whole new excitement for me to start this next project. It will also be another blog of information for me to publish. Wow, I love 2009! I have just been accepted as a Signature Member of Artists for Conservation. Only 500 Nature artists worldwide are allowed into the organization. Amazing! 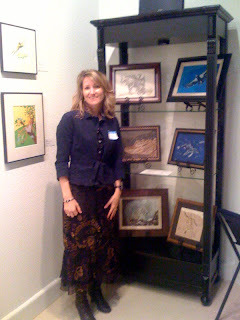 I am updating my profile on their site www.natureartists.com. I applied two years ago and didn't get in. Really big deal to me!